The Downtown Brampton Christmas Market will be taking place from Friday, November 18 – Sunday, November 20. This year we have a special addition – we will be extending the market by adding two additional weekends! These weekends are Friday, November 25 to Sunday, November 27 and Friday, December 2 to Sunday, December 4. 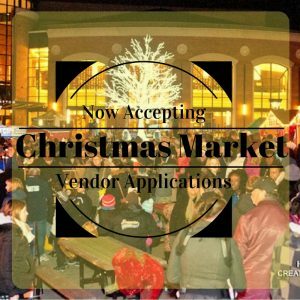 For this curated market, we are looking for an array of vendors ranging from craft to food vendors alike. If you think this opportunity is for you, or know someone who you think will be a great fit, we invite you to apply to be a vendor.